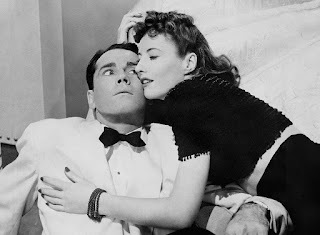 The Lady Eve was one of a string of hits by writer-director Sturges in the early 1940s, and it is easy to see why viewers loved it. The dialogue is sharp, the acting excellent and the direction on-target. Yet I found the movie merely satisfactory. Why? The story concerns a trio of confidence tricksters (Barbara Stanwyck, Charles Coburn, Melville Cooper) who board a cruise ship with the intent of finding and fleecing a sucker. They see their victim in a reptile-expert (Henry Fonda) returning to the United States from a year up the Amazon River. Despite the very strong suspicions of his minder (William Demarest), Fonda falls quickly in love with Stanwyck and, to her surprise, vice versa. That’s when the party reaches land and complications ensue. 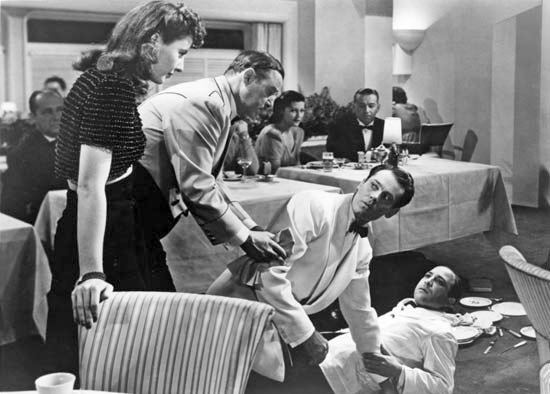 Sturges brought Sullivan’s Travels and The Great McGinty to the screen, so The Lady Eve has a great pedigree. Why do I think this film is a lesser cousin to them? The cast is solid. 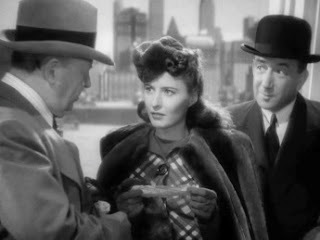 Stanwyck is a favourite actress of mine from the ‘40s, able to play drama and comedy equally well. Her characters, like those of Katherine Hepburn and Rosalind Russell, may have their weaknesses, but they were always strong. (These were the days when screenwriters knew how to create strong women without giving them a gun or a sword.) Her performance is perfect. Fonda likewise had established his credentials before The Lady Eve, and was an audience favourite. The supporting cast is more than competent. 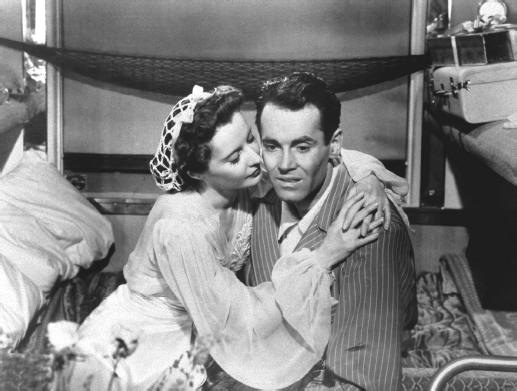 The writing and directing hit a fine peak during a train ride when Stanwyck is explaining to Fonda her alleged history with men, a rapidly cut scene that shows Sturges’s talent behind the camera. The scene must have come close to raising the ire of the censors, as well. With all of these qualities, I still found the movie somewhat lacking. After consideration, I think the fault was with how Fonda’s character was handled. He gives a perfectly fine performance, but it seemed to me that the story wasn’t clear as to how he was to be perceived. The title of the film suggests sin, temptation, deception – all elements that crop up in the tale, but Fonda’s character doesn’t quite fit. Is he smart but inexperienced? Is he obtuse? I suspect that he represents Adam to Stanwyck’s Eve but this is obscured, partly with unnecessary slapstick. He keeps tripping over things and having food spilled on him, slipping in mud and bungling into drapery: the physical comedy seems tossed in. Unless it is well done, slapstick in an otherwise good movie makes me think the writers didn’t know quite what to do with a storyline or character. A scene such as the crowded cabin in the Marx Brothers’ A Night at the Opera is superb; Henry Fonda having a roast flung into his lap because servants are brawling is tiresome. As well, I could see why Fonda would be smitten with Stanwyck, a confident, intelligent, fetching woman with class and style. Her feelings for him have much less motivation. Again, he just doesn’t fit. 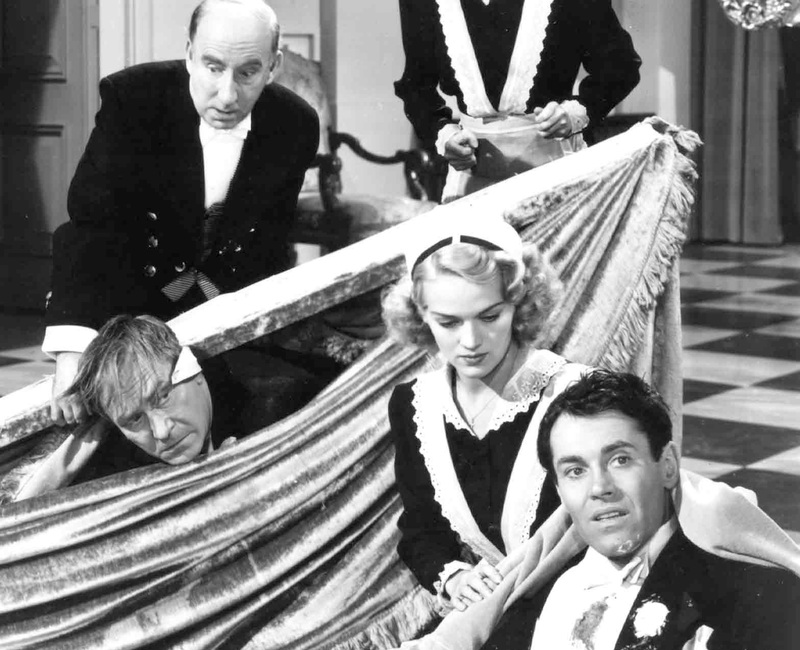 Far be it for me to suggest that Preston Sturges, of all people, needed to provide one last re-write, but, well, that is indeed what I am suggesting. 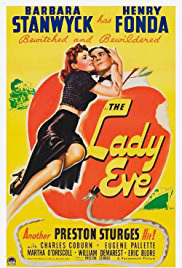 Most viewers have found no fault with The Lady Eve and, while good Sturges is better than none at all, I think this movie is good, not very good. I saw this movie a while back, and I agree with you; while far from a bad movie, it was a disappointment. The film tried way too hard to be cutesy.